We are an approved supplier of the New NHW logo! We understand that many people want to protect their neighbourhood from crime or vandalism. 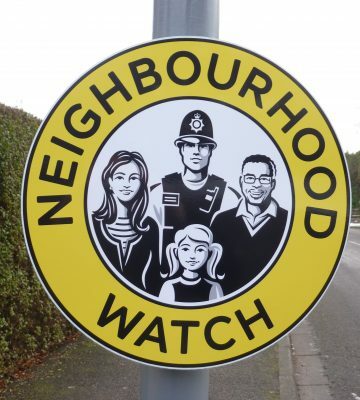 We work closely with many Neighbourhood Watch coordinators producing signage, window stickers and other printed products for each organised group. To help you in your efforts to increase awareness of local Neighbourhood Watch organisations we can supply you with all of your Neighbourhood Watch print requirements including banners, flags and gazebos. 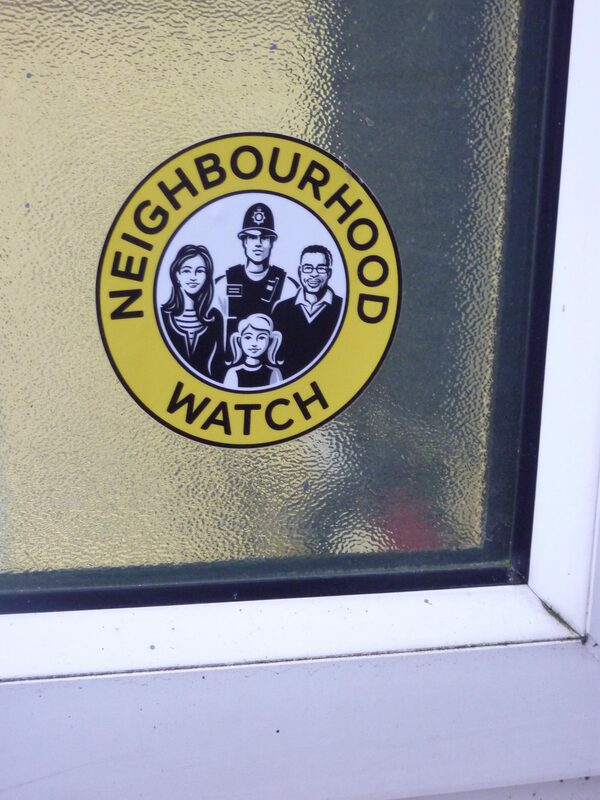 Formed in 1976 NSP (Normanton Screenprint) are a leading supplier of Neighbourhood Watch products. Years of experience has helped us develop expertise in providing standard and bespoke Neighbourhood Watch signs, stickers and promotional products. We can advise you on matters such as design, size, fixings, materials, etc. so your requirements are met precisely. 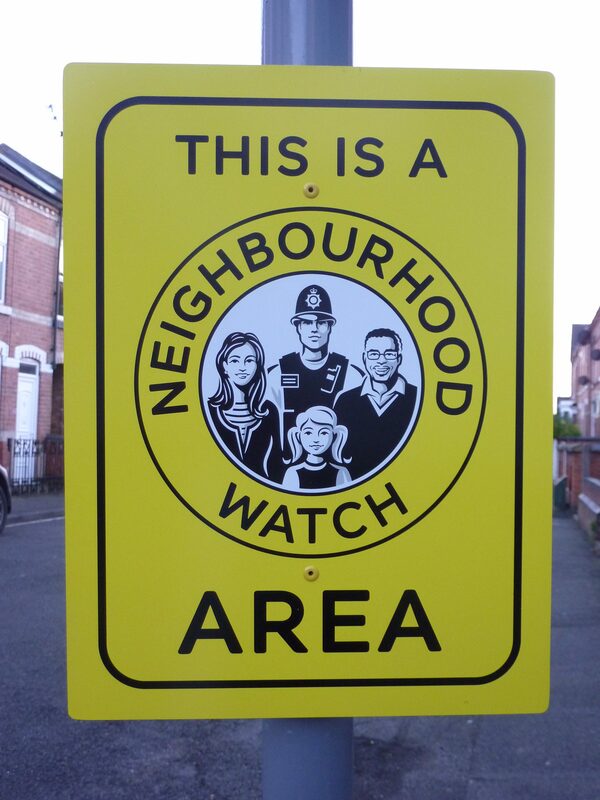 Neighbourhood Watch products can be supplied with either a standard or a bespoke design from single colour to full colour prints. Signs are available in a range of materials, sizes and fixing options to meet your requirements and your budget. Contact us today to see how we can help on 0115 973 3323 or email us your enquiry at sales@nsprint.net – for a current price list and range of standard designs and sizes. All our signs are manufactured to your specification in a range of materials to suit your budget. Require help with your design? Our in-house design team are here to help so please ask. You can speak to Kevin Rogers who heads up the printing business or any member of the team. Over 40 years of expertise in print and dealing with Neighbourhood Watch Associations and coordinators. We are trusted to supply print and signage to Police Forces, Local Authorities, Public Sector Organisations and Community Groups.